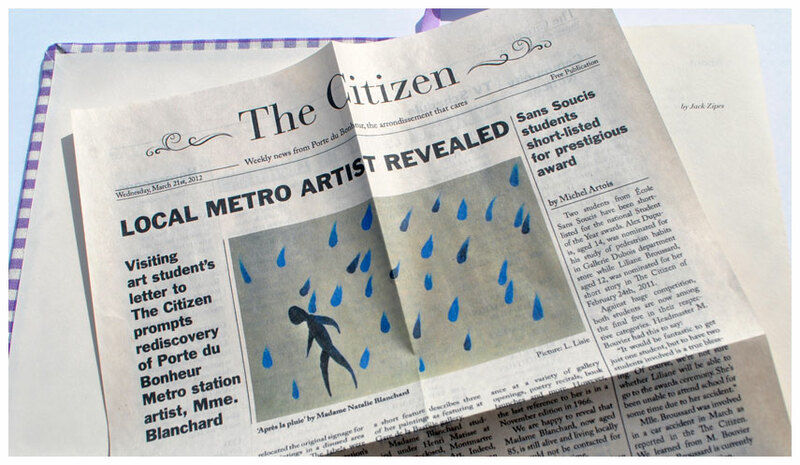 This project was entered for the International Society of Typographic Designers' Student Assessments 2012. The project received the award, granting full membership to the society. 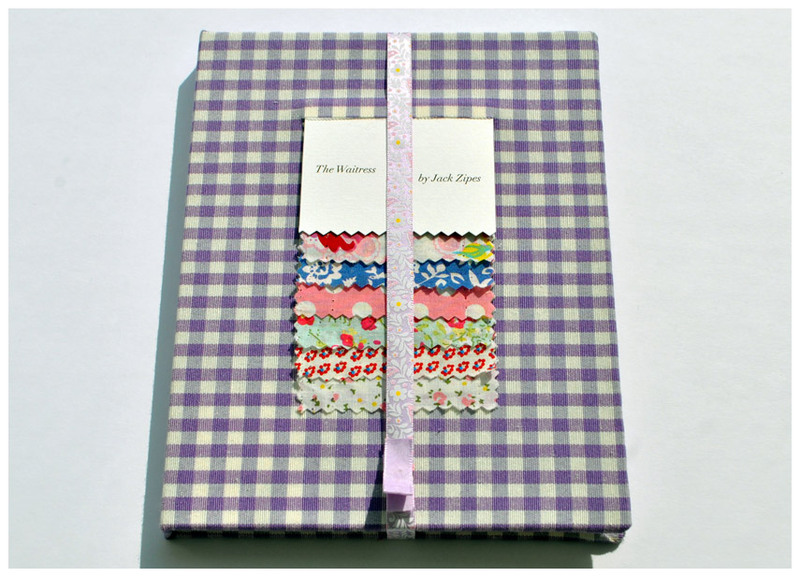 The ISTD brief presented a short story, The Waitress by Jack Zipes, and asked us to reinvent the book for the modern reader. It challenged us to work with the format of the book in new ways, taking inspiration from magazine and digital design. Set in Paris, the story is an unusual tale of a waitress with a talking chair stuck to her back. Over time, the chair acts as a moral compass and encourages the waitress to offer her help to carry the less fortune to the café where she works. In the process, she helps herself as well as others. I looked to magazines with their wide variety of page layouts and design, editorial illustrations and inclusion of insert samples and advertisements as inspiration. I also looked to how online magazines and web pages use hyperlinks and modal windows to present related information. 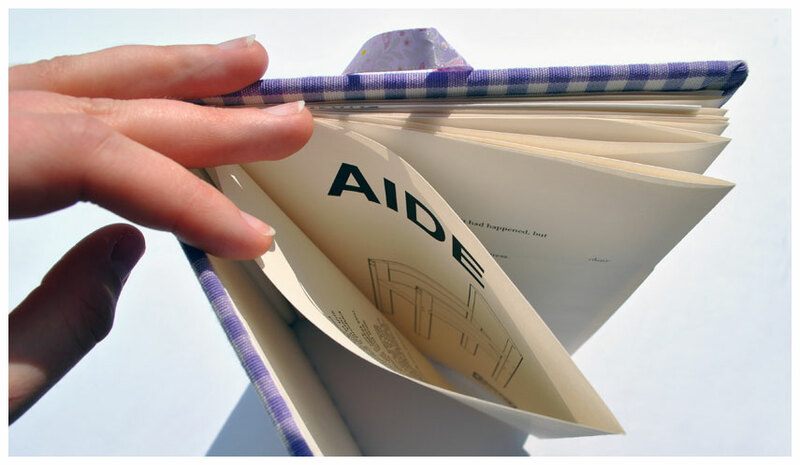 I decided to operate within a conventional book format with printed pages and a hardback cover, but with the pages created through French folds. The story itself is laid out over the front of the French folds and adapted to the specifics of the story. The voice of the waitress is set to one side, pitched against the voice of the chair to the other, with scene setting within a central column. Taking the idea of magazine editorial and their variety of page types and content, I developed a series of ephemera that extended the story and provided extra background and context. From the idea of hyperlinks within a text, each piece of ephemera slides into a cut in the page's surface at the relevant point in the story. 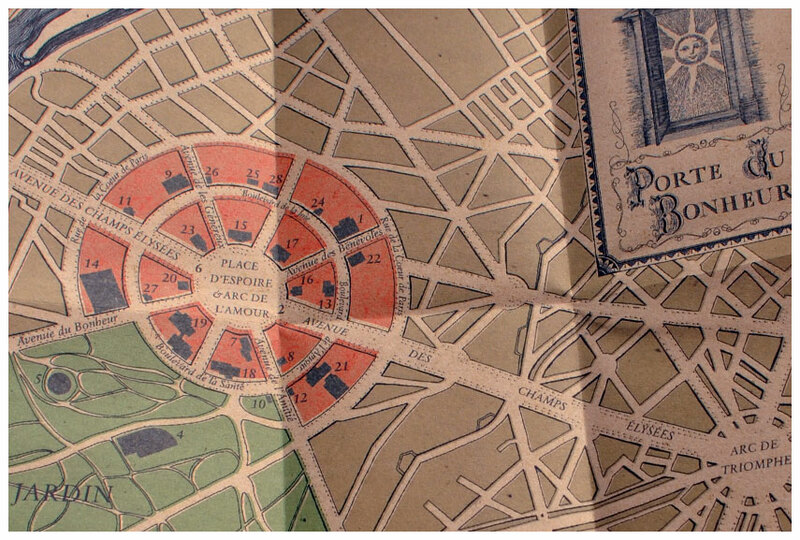 The inserts map the places mentioned in the story into a fictional locale, with new characters and businesses. Each insert receives a unique typographic treatment from ribbon type to vintage lettering. 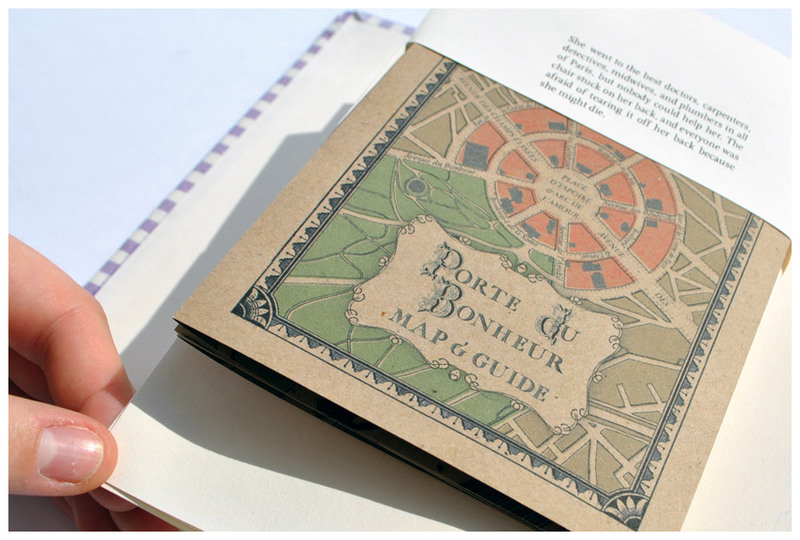 The map, illustration and vintage type are all hand-drawn. 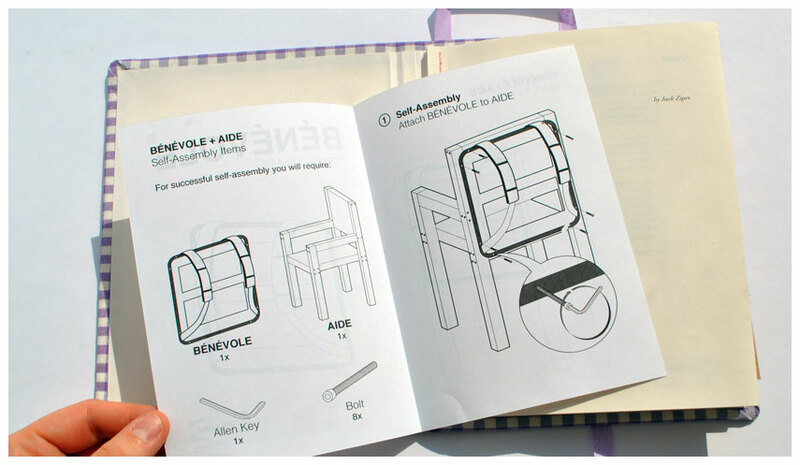 The insides of the French folds contain a series of Ikea style illustrations giving self-assembly instructions for the chair character of the story, highlight the overarching theme of the story; that self-help and self-improvement can enable you to more effectively help others.